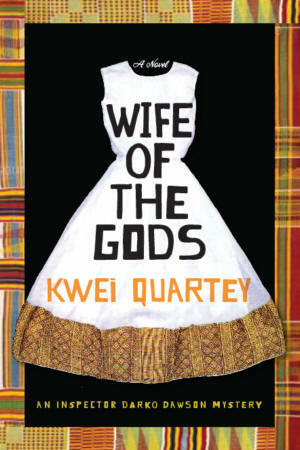 Set in Ghana, with the action moving back and forth between the capital city of Accra and a small village in the Volta Region, Kwei Quartey’s lively debut novel is the story of Detective Inspector Darko Dawson, a good family man and a remarkably intuitive sleuth who is sent to the village of Ketanu—the site of his mother’s disappearance, many years ago—to solve the murder of an accomplished young AIDS worker. As the mystery unfolds we meet a rich cast of characters, including the Trokosi, young women (called Wives of the Gods) who are sent to live with fetish priests to bring good fortune to their families. As Darko explores the motivations and secrets of the residents of Ketanu, battling his own anger issues and concerns for his ailing son, it becomes clear that in addition to solving a recent murder, he is about to finally unravel the shocking truth about his own mother’s disappearance.